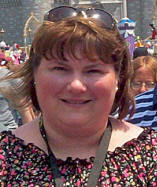 Linda Goodness Authorized Disney Vacation Planner - Disney Vacation Package Experts! Creating "MAGICAL MEMORIES" through my experience and education as a graduate of the College of Disney Knowledge and an affiliate of Academy Travel, I LOVE working as an Independent Travel Consultant specializing in Disney Destinations. I ENJOY CREATING DREAM VACATIONS AT NO ADDED EXPENSE TO YOU THAT FIT EVERY BUDGET! After many years of teaching in classrooms and working with dyslexic families, I love educating families on all Disney has to offer each individual guest, and together, building your DREAM VACATION. I have enjoyed planning family trips and honeymoons for people from Washington to Maine. I recently began helping homeschool families incorporate their vacation into their curriculum, including the children in decision making and research. I love taking my family to Disney World in Florida, and will do all I can to help your experience be as "Magical" as our MANY trips have been. It is NEVER TOO EARLY to begin planning. Contact me today and lets start creating your "Magical" vacation together.